Following our mantra of “less is more”, Happy Matcha only sells two grades of matcha, Ceremonial Grade matcha and a Culinary Grade matcha. Ceremonial matcha is basically the best matcha money can buy, designed for drinking and used in Tea ceremonies. On the other hand, Culinary Grade matcha was crafted for cooking, its fine texture and elegant taste makes it perfect for fine dining and casual use, be it as an ingredient in a cake, or something simple like a smoothie. 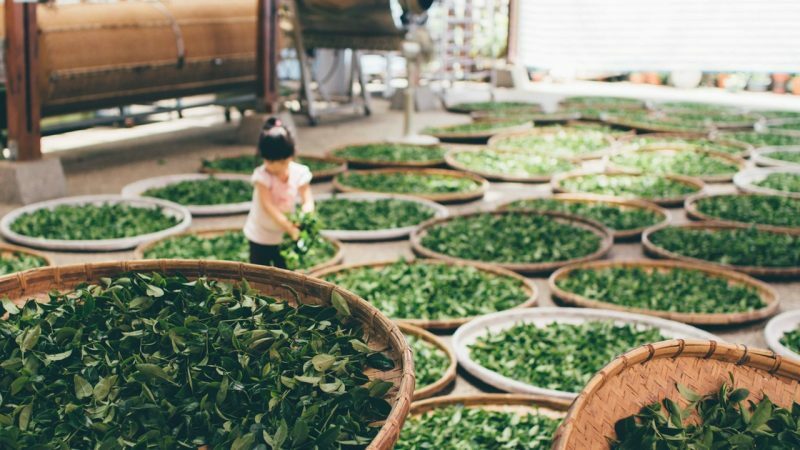 However, in such a crowded market place, there are a large range of different Matcha grading systems which can cause much confusion to new and existing matcha drinkers. As such, Happy Matcha hopes to help de-mystify matcha grading and help you make a more informed purchasing decision. This grade of matcha, commonly known as Ceremonial grade, is the crème de le crème of Matcha powder. It is traditionally used for tea ceremonies (hence the name), and is the highest quality matcha that you can purchase. Made from the smallest leaves with the perfect amount of shading, it is ground to a fine powder and prepared in traditional methods. The taste of ceremonial grade matcha is simply unmatcha by lower grade matcha powders. This grade of matcha is smooth taste, naturally sweet with slight astringency but never bitter. It also has the highest level of nutritional value. Vibrant and emerald in colour, when placed next to lower grade matcha, the colour is fresher and greener. Premium grade matcha green tea is a lower grade matcha when compared to ceremonial grade matcha. This grade of matcha is still great to drink on a daily basis but will not be used for tea ceremonies and definitely not used to serve friends. Some may also use it to make a morning latte or an evening matcha smoothie. Contrasted with ceremonial grade matcha green tea, premium grade matcha is a generally cheaper to buy and uses a combination of high and mid quality Tencha leaves. Its colour is less vibrant when compared side by side with ceremonial grade matcha. This grade of matcha is generally what our competitors sell. Much like our ceremonial grade matcha, culinary grade matcha a premium matcha designed specifically for cooking, whether it be mixed in a drink, heated in a cake or just sprinkled on top of pasta. It uses similar quality leaves as our ceremonial grade matcha but is much stronger in scent and packs a more powerful punch in its flavor. Our culinary grade matcha is fine in texture and mixes well in both liquid and other cooking ingredients. Once mixed, it is a thicker consistency than drinking matcha which works will if added to sauces or sweets. Happy Matcha Culinary matcha powder is a fantastic choice for ingredients that contain milk and other dairy items. It can also be used to make green tea frozen yogurt, matcha smoothie or matcha latté and even a matcha lamington. This grade of matcha can also be blended or whisked meaning you can use it as part of your cake recipe to add a little punch. This grade of matcha is generally designed as a cheaper alternative to culinary matcha and is a standout if used daily. It is used with a combination of mid and low quality Tencha leaves which may not have been shaded properly. Once ground, the colour of this matcha powder is generally a dull green with a slight brownish hue. It is strong in astringent flavor which actually makes it good for cook but unfortunately, it is also relatively bitter. In terms of texture, it is generally more coarse and lumpy making it harder to dissolve in liquid but may not be ideal for using in fine cooking.